Summary: The crowd did not seem to understand what was taking place until someone said, “They must be drunk.” The faction that held this opinion and began to disrespect the apostles was made up of the natives of Judea and Jerusalem, and probably the scribes. . .
A crowd had gathered at the House where this very astounding event was taking place, and as they looked upon this astonishing thing: They were all amazed, because they saw men that appeared to be in a frenzy; a state of heavenly bliss who were speaking to the crowd about the wonderful things God had done and about Jesus Christ, and that He had risen from the grave. They did not know what to make of it, so they were confused as well as amazed, and they speculated that something wonderful may be happening. 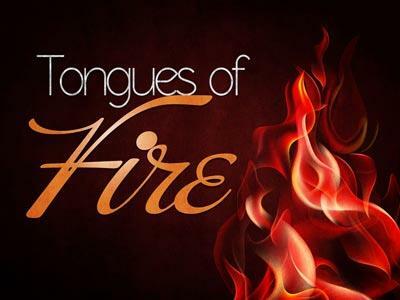 They hoped that on this Pentecost the kingdom of the Messiah might be introduced, since they had come to Jerusalem with that blessed event high in their expectations. They asked themselves and one another, “What meaneth this? ; could these men be messengers from heaven;” and therefore, like Moses at the bush, they turned aside to see this great sight. The word rendered "mocking" means to quibble, to ridicule. It occurs in the New Testament in only one other place: Acts 17:32—"And when they heard of the resurrection of the dead, some mocked." 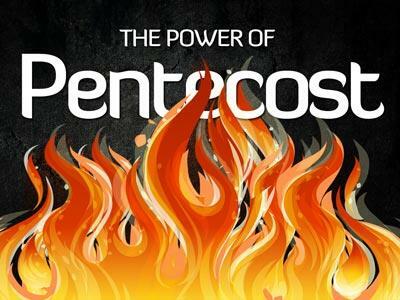 This was an effect that was not confined to the day of Pentecost. 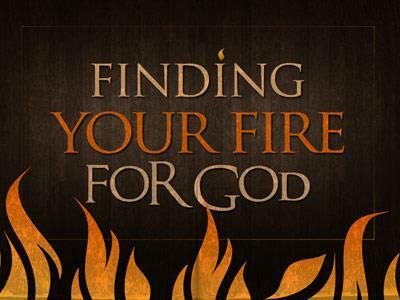 There has been many a revival of religion, which has been a remarkable manifestation of the power of the Holy Spirit that has been an occasion for profane mockery and merriment. One characteristic of wicked men is to scoff at those things which are done to promote their own welfare. That's why the Saviour himself was mocked; and the efforts of Christians to save others have been the subject of ridicule. Scorn, and mockery, and a contemptuous shout, have been far more effective in discourage men from becoming Christians than any attempts at serious argument. God will treat men as they treat Him—“With the pure You will show Yourself pure; And with the devious You will show Yourself shrewd” (Psalms 18:26; NKJV). The dealings of the Lord are always just. He metes out to every man according to his appraisal of them. And therefore he says to the wicked, “Because I called and you refused, I extended my hand and no one took notice; I called, but you refused to listen; I held out my hand, but you paid no attention. But ye have set at nought all my counsel, and would none of my reproof: Because you disdained all my counsel, and my reproof you ignored—You did not follow my advice and did not listen when I corrected you. I also will laugh at your calamity; I will mock when your fear cometh; I, in my turn, will laugh at your doom; I will mock when terror overtakes you” (Proverbs 1:24-26; NAB). The crowd did not seem to understand what was taking place until someone said, “They must be drunk.” The faction that held this opinion and began to disrespect the apostles was made up of the natives of Judea and Jerusalem, and probably the scribes, Pharisees, and chief priests, who always resisted the Holy Ghost. They said, These men are full of new wine, or sweet wine; they have drunk too much at this festival-time. It is not that they were illogical enough to think that wine that has gone to the head would enable men to speak languages which they never learned; but these men, who were native Jews, did not know, as the others did, that what was spoken was really the languages of other nations, and therefore, they took it to be gibberish and nonsense, such as drunkards sometimes talk. When they decided not to believe the words of Christ’s messengers, they turned them off with this, "These men are full of new wine.” The literal translation is sweet wine, and I understand that it is a little more intoxicating. They thought these men were drunk. This word translated “new wine” means the juice of the grape which distils before a pressure is applied and it is called “must.” It was sweet wine; and therefore the word in Greek meaning sweet was given to it. The ancients, it is said, knew the art of preserving their new wine with the sweet flavor it had before fermentation for a considerable time, and were in the habit of drinking it in the morning. Sweet wine, which was probably the same as that mentioned here, is also mentioned in the Old Testament (see Isaiah 49:26; Amos 9:13). It should be noted, however, that there was probably no new wine in Jerusalem at that time, because Pentecost was too early for the grape harvest, which occurred in August. 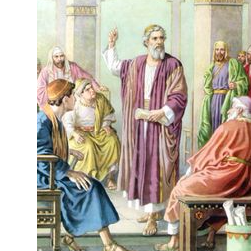 The crowd did not seem to understand what was taking place until someone said, “They must be drunk.” The faction that held this opinion and began to disrespect the apostles was made up of the natives of Judea and Jerusalem, and probably the scribes. . .